South Carolina LowCountry Nature Journaling and Art: Sunshine Award! Woo hoo!! 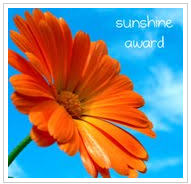 Maree Clarkson, the lovely, ever so talented, inspirational artist and blogging buddy has honored me with the SUNSHINE AWARD for "Creativity and Positivity in Blogging." I'm blushing, Maree!! Thank you so very much! If one accepts the reward ~ try and take it back, Maree :) ~ it must be passed on to 12 others. One must also let them know that they are nominated. Everything must be linked to everyone. Here is my list of creative and positive bloggers who inspire and give joy to others. Please follow their links so you can meet these outstanding artists! Pam - Thank you for your award, that's very generous of you! Glad you enjoy the blog. Thanks !!! I'm very happy ! ( Eu não falo fluentemente seu idioma ,vou tentar fazer todo o procedimento corretamente ) Thank you very much !! Rene, You are welcome! So happy to bring you joy! Thanks Pam - You made my day! Wow, thankyou so much Pam, really glad you enjoyed the blog! Cheered me up no end, now got to try and pick my 12 out of so many talented people out there! Hi Pam, thank you so much for the award. I see you already got the same award from another artist. I sent you one last week. Pam it may take me a day or so to claim it, but I am truly honored. Have a great day. Wow, thank you, and what a nice surprise! It may take me a few days to catch up with everything and claim this sunny award, but sunshine is definitely needed out my way. Thanks Pam! Your blog IS a sunshiny inspiration!! 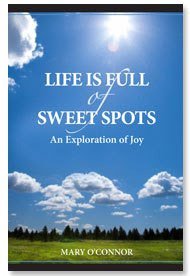 I'm so so SO glad you came by my blog. Thank you. I needed the reminder, I love your blog! I'll be back again REALLY soon :) promise. What a nice surprise to come back to! Thank you, Pam! I'll post, but not sure when! Thanks so much for visiting my blog and I just can't tell you how much I love you blog! I just love your journaling style with your wonderful watercolors. I am going to go back and look some more...and drool! !